WOW--INCREDIBLE DEAL!! 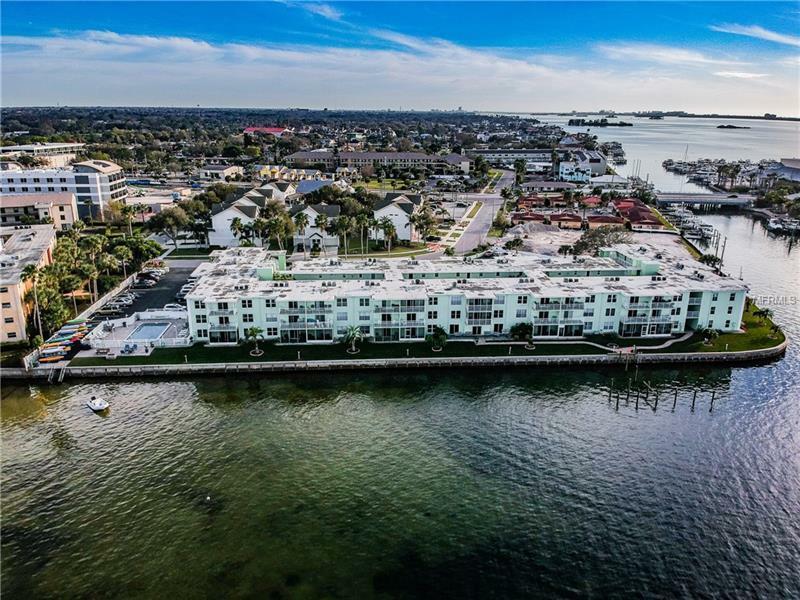 Stunning waterfront, GROUND-floor unit with UPDATES to include KITCHEN CABINETS, GRANITE TOPS, STAINLESS APPLIANCES, NEW WINDOWS & SLIDER, CROWN MOLDING and easy-care TILE THROUGHOUT. The BATH also has a GRANITE vanity top and an updated WALK-IN SHOWER. Desirable Dolphin Pointe has a waterfront heated pool, rec room w/billiards & kitchenette, outdoor BBQ grill, kayak storage & fishing pier. Grab your favorite beverage and prepare for endless dolphin, manatee & sea bird sightings from your WATERFRONT, SCREENED-IN PORCH. You are in the hub of all the beach activity with nearby Honeymoon & #1-rated Caladesi Island Beaches. PINELLAS TRAIL is across the street. It is located on Dunedin Causeway & walking distance to shopping, restaurants/bars, banks, pharmacy, marinas, Jolley Trolley & bus. Immerse yourself into eclectic Downtown Dunedin with Farmer's Market, Arts n Crafts Festivals, wine walks, parades, shopping, dining, craft beer & more! Countryside Mall, golf & Dunedin Stadium for Blue Jays' Spring training are also nearby and Clearwater Beach is only 20 minutes away. LOW MONTHLY FEES AND 30-DAY MINIMUM RENTALS. Perfect for full-time or seasonal use. All ages welcome and one indoor cat. LIVE THIS AMAZING LIFESTYLE!